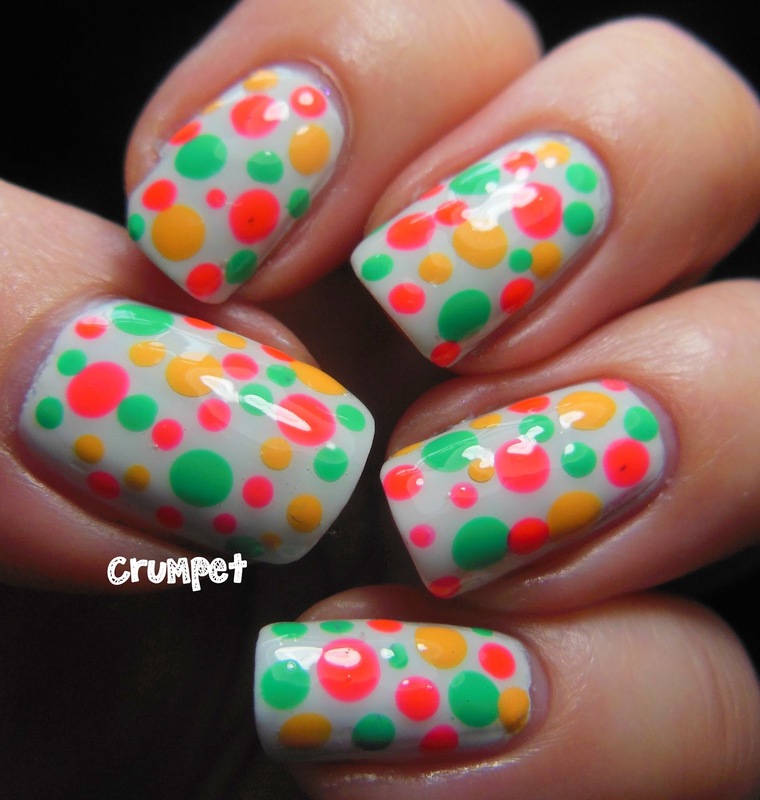 Today is Week 7 overall and Week 3 of our 4 week dotting rotation. 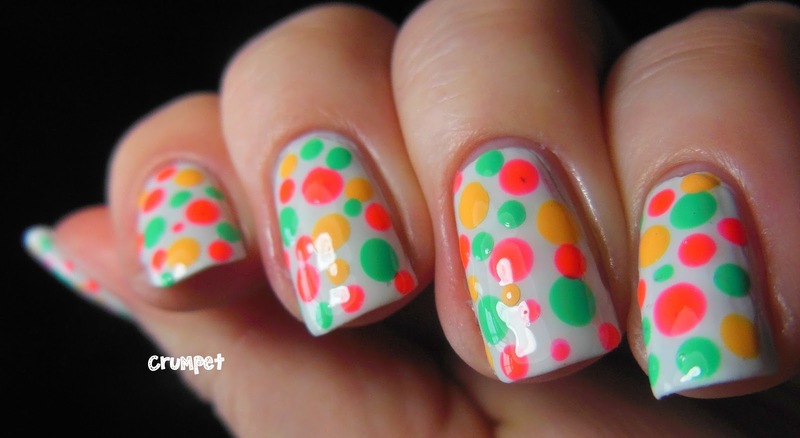 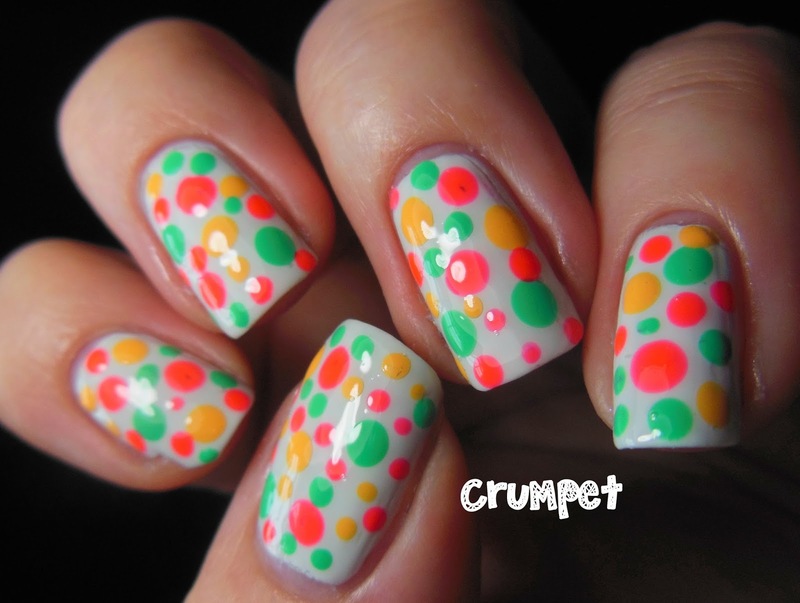 Today I've got a super summery mani for you as we get to grips with Multi-Coloured Dots. 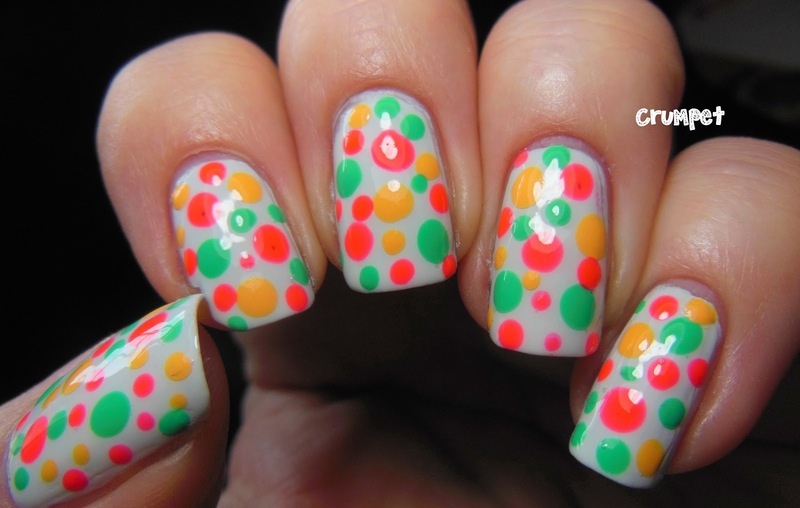 This mani is quite similar to create to last weeks. 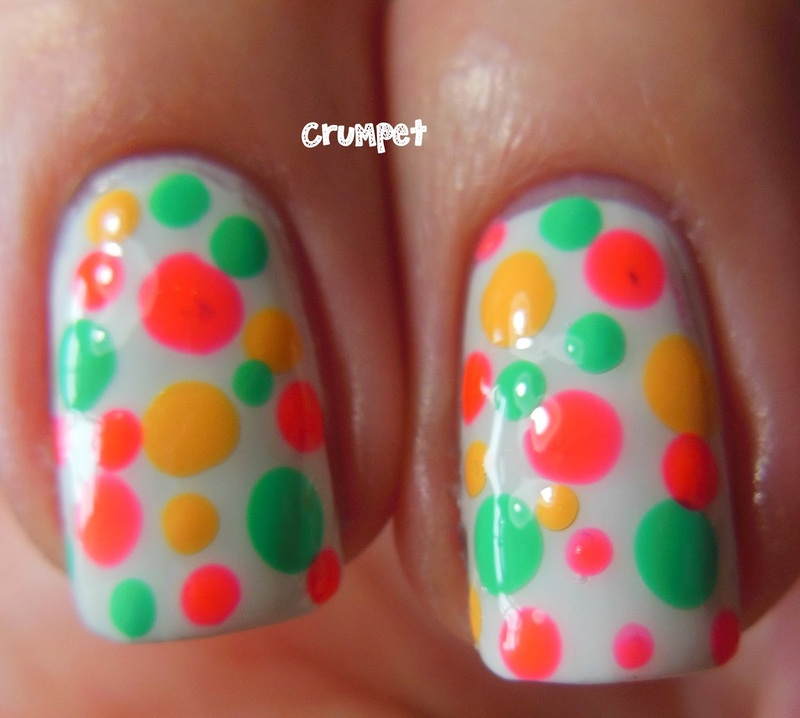 Again we're using 2 sizes of dots, the only difference is that this time we are using 3 colours. 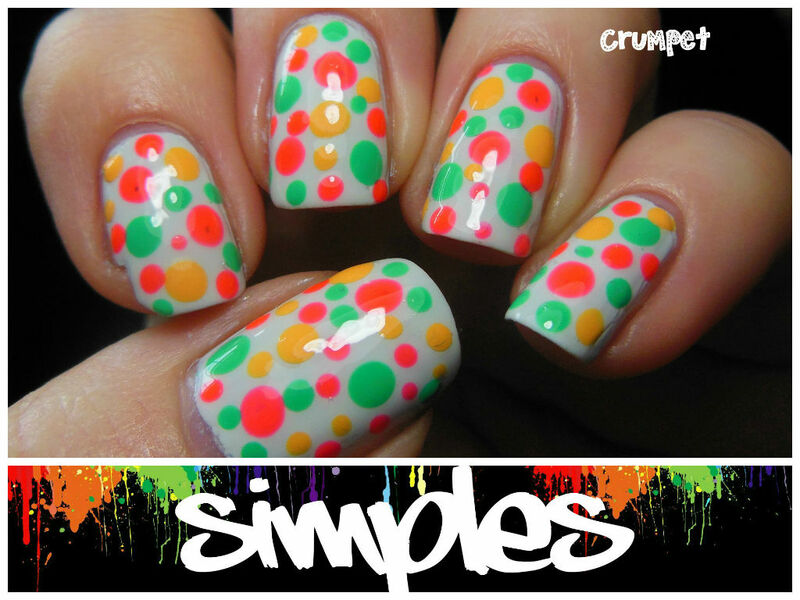 There's not much to add this week in terms of tips and other examples as it is so similar to last week's post.